From autumn 2018 Friday Club will run at Scotland Street School Museum as the Citizens Theatre undergoes a major redevelopment project. Click here to see how to find us at Scotland Street School Museum. 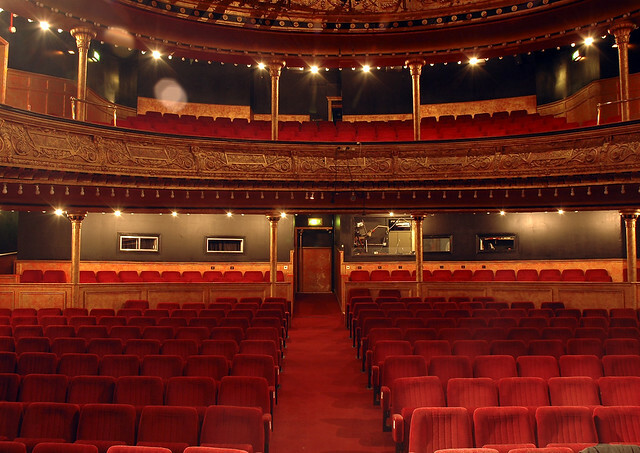 If you’ve got stories to tell and ideas to explore, come to the Citizens Theatre and join the Friday Club. Build your creative skills and self-confidence in a supportive and stimulating environment. The Friday Club is for people 18 years plus and their companions. Places are limited, so book now if you want to be part of The Club. Contact Louisebrown@citz.co.uk, Creative Learning Officer, to book or for more info (0141 418 6273). There are also special Friday Club events to see productions in the theatre throughout the term. Watch with the lights on! We are very grateful for the support from Boshier Hinton to make this film. Looking for classes for 14-18 year olds with a learning disability? Find out more about Saturday Citizens.